This review of Sail Business Loans is a great tool to understand who they are as a loan company for small business – who is at the head of the pyramid of Sail Business Loans, what they can provide you as a lender and how they rise above their competition. Read the following Sail Business Loans review and discover what they look for in a borrower. Documents Required to Apply: ABN/ACN for your business, a valid driver’s license, your business’s bank information (for gathering financials and making payments), a cloud accounting software (for gathering financials). Requirements to Apply: Australian registered business, $50,000/year turnover, trading history of 6 months. General Feedback from Clients Online: Sail started operating in 2016, and as a result their reviews online are limited. However, the reviews that do exist are outstanding and overwhelmingly positive. Borrowers praise Sail for being honest, transparent, and for providing excellent service. 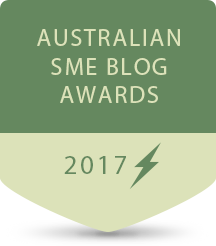 Awards and Recognition: Member of FinTech Australia. Although operating only since 2016, Sail has already got itself a name in the small business loans in Australia market. Simply put, it has one of the lowest minimum requirements in the industry which makes it very apt for bad credit business loans, and glowing Sail reviews online. Sail is a business loan lender that focuses on small to medium size business financing solutions. They offer primarily unsecured business loans, pride themselves on their simplified process, and boast no hidden fees. Sail is an incredibly new lender in the industry, having been founded in late 2016. However, they’re already receiving press accolades from the likes of Smart Company, who featured their $8 million company launch in November, 2016 and many other company reviews. Sail’s founder, Yanir Yakutiel, spent 15 years in the finance industry before choosing to launch Sail at the end of 2016. Before the company’s launch, Yakutiel created a unique algorithm that he says will “change the way” business lending for small businesses is done. Sail also offers additional products in the fintech arena and prides themselves in being a small business built to serve other small businesses. Company founders believe that business owners should have access to financing opportunities without being weighed down by the methods of traditional banking. They genuinely want to make a difference in the small business lending space, and have designed everything from their simple application to their 24 hours approval response time to reflect those core values. 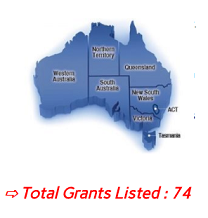 In addition to unsecured business loans, Sail specializes in indigenous and aboriginal business loans, short term business loans, startup business loans, and they have a very convenient business loan repayment calculator available to site-visitors. What Sets Sail Apart from Others? Sail Business Loans is bringing unique biometric security features and real-time big data decision-making to small business lending. Sail offers loans ranging between $5,000 and $100,000 and is currently working with customers across a variety of industries including hospitality, tourism, retail and manufacturing. Its unique selling point is derived from its biometric technology. Sail Funding is using ‘selfies’ to help customers confirm their identities and finalize loan applications not only faster but also, with more certainty and less fraud. Sail Funding’s method harnesses biometric security and uses a simple selfie to confirm user’s identities against official forms of ID, such as a passport or driver’s license. Sail’s solution verifies that the documents have not been tampered with or forged – at a level of accuracy on par with that of “airport-grade security” according to Sail. 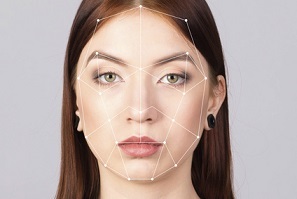 The facial recognition technology then confirms that the identity and location matches the uploaded documents in less than 60 seconds. Sail Funding secured an $8 million funding boost led by CEO Yanir Yakutiel, as part its first capital raising and is actively developing tech-enabled improvements to gain an edge over its peers. Its backers include Sydney-based investors Messrs Marc and Gideion Lubotzky, who have joined the Sail Funding board. The funds will be put towards further product development and expanding the lender’s tech talent pool, which is a pricey but important part of Sail’s plans for dominance. According to the company it is focusing on improving its core product and the user experience. With several other small lenders already approaching their second birthdays, the business is looking to differentiate itself with an algorithm that uses machine learning to deliver better risk analysis. Sail Funding reported that it is developing software that can adaptively “become more intelligent” and effectively improve its ability to risk-assess its existing loan book and therefore, increase the rate at which its loan book grows over time. In 2016, Sail Funding participated in the NSW government’s Landing Pad program in Israel, which it was selected for along with seven other startups. The eight fintechs, announced by NSW minister for industry Anthony Roberts, were Capital Pitch, FlashFX, Meeco, Manner by Risk, Sail Funding, Phriendly Phishing, Simply Wall St and Valiant Finance. The eight startups sent representatives to Tel Aviv for two weeks and visited the federal government’s landing pad, and to access some of the best talent, mentors and investors in the world and bring this knowledge back to the Australian startup community. In the same year, Sail officially launched its Sydney office, with a team of 10 developers based in Israel. Sail has only been in business since 2016, therefore there aren’t very many online reviews available to go over while researching the company. That being said, the reviews that exist online are very positive. In fact – they’re some of the most positive review of any lending company that we’ve looked at. Borrowers call Sail “honest” and “fair.” They are widely pleased with the efficiency of the application process, as well as the customized service that they receive from the company. We couldn’t find any negative reviews out there – which speaks volumes as there are usually a wide range of both positive and negative reviews on any given lending company. One of Sail’s strongest unique selling points is the website. With lighter, friendlier, design, any business owner is able to understand exactly what is the nature of service and how it works. That kind of ultra-professional design which is normally reserved to the biggest companies in the bunch really does establish trust in the eyes of prospective clients. The sign up process is on par with the quality of the site. Easy, simple and friendly! It won’t take more than a minute to submit your application and within hours you are likely to get a confirmation or a rejection. Money could be in the bank in the very next day! Startup: No, Sail requires that you’ve been operating for at least 6 months. Bad credit: Yes, Sail looks at your personal financials but often still approves with bad credit. Sole trader: Yes, Sail works with sole traders. Established business: Yes, Sail works with established businesses. Turnover: Sail requires a turnover of $50,000/year. Sail is a safe, simple and efficient way of receiving unsecured financing of 5,000-10,000 dollars for a period of 3 to 12 months. The qualifications are relatively soft and that makes the majority of business in Australia eligible for a quick and easy loan by Sail. It is a relatively newcomer to the industry but it has already become a strong contender with unanimously positive Sail reviews.